Sweet potato (Ipomoea batatas): growing, planting, caring. 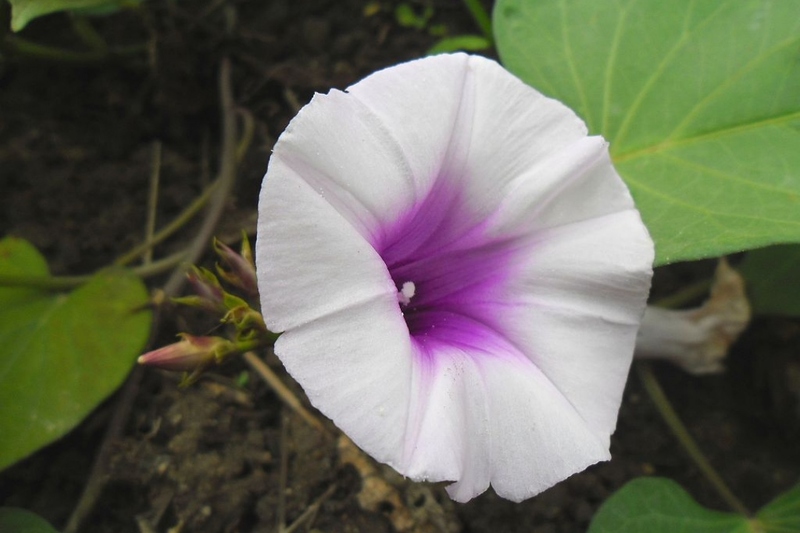 The species of Ipomoea producing sweet potatoes ! Ipomoea batatas - the sweet potato - is a species of Ipomoea, commonly grown in the tropics and subtropics for its edible tubers. Choose wisely: some varieties have been selected for their leaves of attractive colors and are mainly used in the ornamental garden. The tubers they produce and their leaves are perfectly edible, but the tuber is smaller, and taste less fine than the varieties for the veggie patch - they may even taste a bit bitter. This description is for cultivars grown for their edible tubers. The ipomea is multiplied mainly by sowing, and will even tend to do it by itself without restraint! Remember to harvest the seeds in late summer. You can sow them in March. Ipomea is a particularly resistant plant and it does not fear predators. If the aphids start to invade, let them do it! Ah ah! It will withstand their predation very well and during this time, they will leave your other plants in peace! Harvesting usually occurs after 4 to 6 months depending on the variety, around September-October. Pro-tip: sweet potatoes are traditionally cured to improve storage, flavor, and nutrition, and to allow wounds on the periderm of the harvested root to heal. Proper curing requires drying the freshly dug roots on the ground for two to three hours, then storage at 29–32 °C (85–90 °F) with 90 to 95% relative humidity from five to fourteen days. Cured sweet potatoes can keep for thirteen months when stored at 13–15 °C (55–59 °F) with >90% relative humidity.